The pot of green gold at the end of the Golden Arches. I first made the acquaintance of the Shamrock Shake as a child growing up in suburban New York. 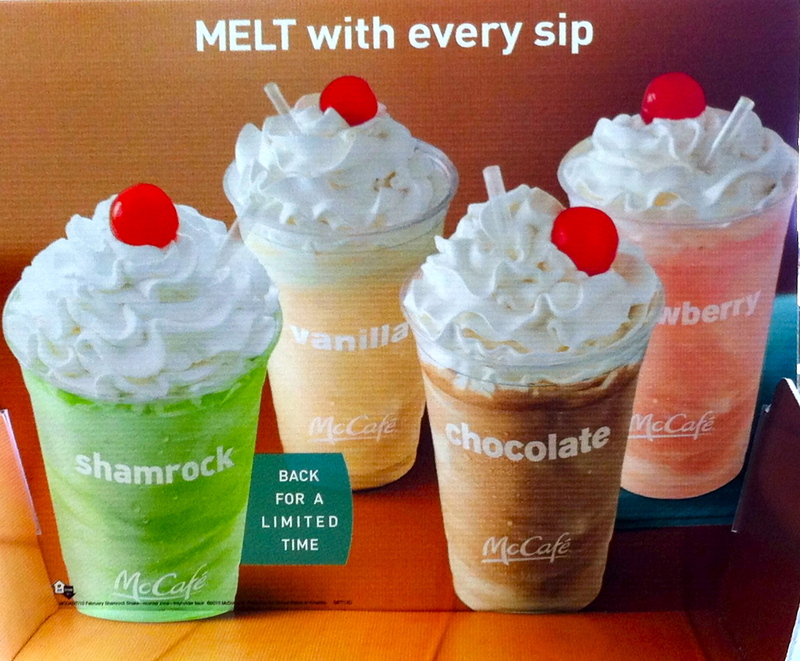 Every year I would eagerly await the arrival of St. Patrick’s Day, knowing that McDonald’s would gamely trot out its festive milkshake offering. 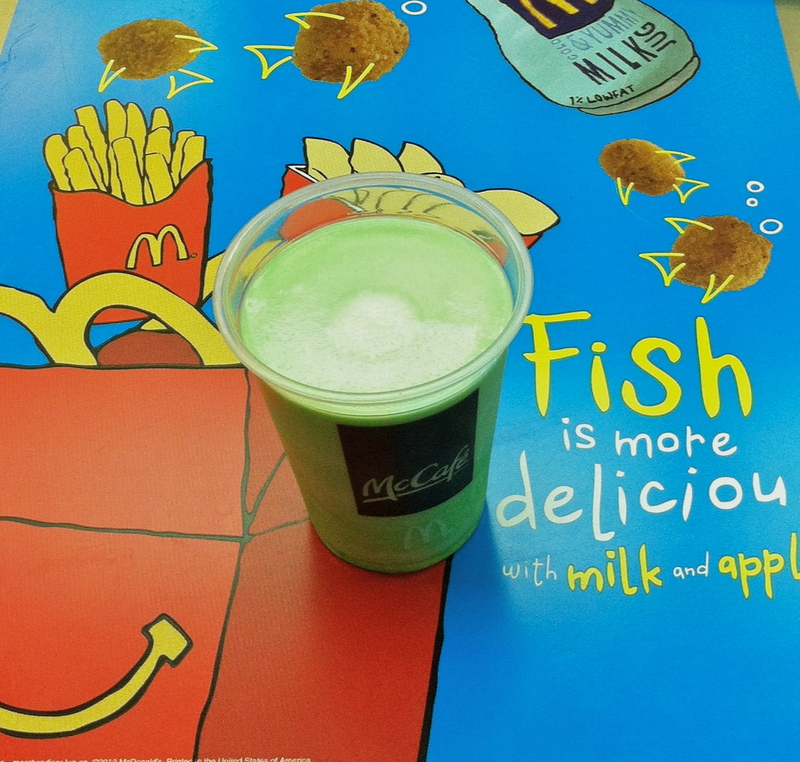 Although I long ago lost my taste for fast food, McDonald’s included, I still have a soft spot for this bit of green nostalgia. You can imagine my surprise when I learned that my beloved Shamrock Shake was not widely available, particularly in New York City. Times might have changed, but I don’t usually go a-knocking on McDonald’s door, especially when there are so many other places in this town to get a delicious shake. But when you’re in a rest stop looking for some cheap energy to sustain you through the next few hours of asphalt monotony, you could do a lot worse than a vaguely minty green pick-me-up. 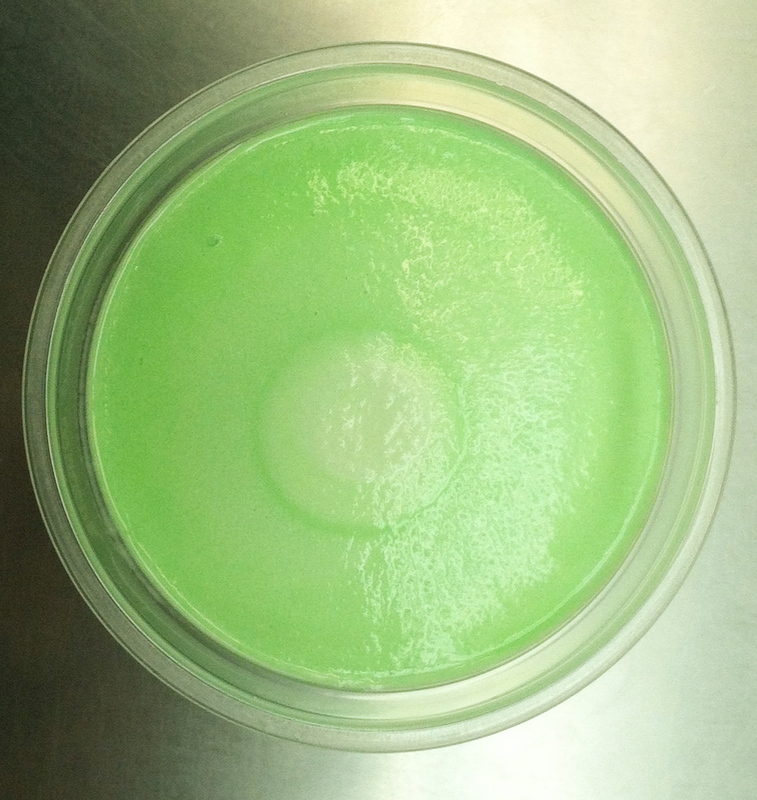 And that is really all the Shamrock Shake is: a lightly minty, green milkshake. As a commenter once said, it tastes “like green vanilla.” It really does. Granted, this isn’t a surprise, since the shake consists of McDonald’s vanilla soft serve blended with an artificial green mint syrup. If you look closely at the photo below, you can see some evidence of the mix-in. This concoction is definitely not for people looking for the most authentic, high-quality milkshake out there. You probably don’t even want to know what the ingredients are. But there is definitely something about the Shamrock Shake that hits just the right spot, especially when you’re far from home. But hie thee to a McDonald’s, lest you need to wait for a whole year to pass before you can test one for yourself.